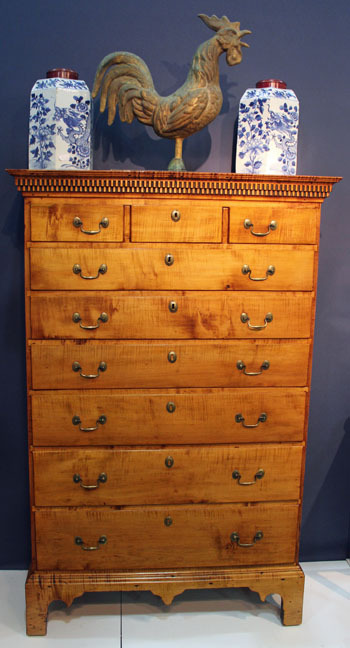 A Tiger Maple 7 Drawer Tall Chest. and a nice tall base with center drop. 61 1/2" tall 40 1/2" wide at cornice,18" deep.